CarusoPR delivers innovative strategic communications. We integrate creative technology driven tools to help you stand out amid your competition. CarusoPR offer clients a broad range of services that helps you better connect and communicate with your audience. To achieve desired results, creative services are often bundled together into a specific program that position and reinforce your product, service or organization across multiple communication channels. CarusoPR excels in creating ideas that can be carried across multiple communication vehicles. We offer added value. We are successful at updating content to align messages and refresh angles with many audiences helping our clients gain more public relations and marketing bang for their buck. We also work with clients on spot projects and special assignments. The beauty of our small by design creative public relations and marketing communications firm is we are flexible and able to address clients needs, objectives and budgets. We service clients across many industries with a niche in professional services including legal, financial and medical products and services. We also have extensive experience in serving non profit organizations ranging from charitable organizations to membership associations. 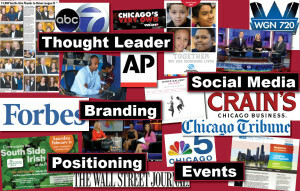 Our core services include media relations activities including story identification and press material development. We also offer clients spokesperson training and issues management counsel. We build brands beginning with early concepts or refreshed ideas and incorporate everything from visuals to content reflecting a new direction, mission or vision. We create compelling marketing materials for both digital and traditional formats with plans for use across many marketing channels. We assist clients with web and mobile development starting with initial concepts and designs that align with mission and messaging and carried out all the way through each phrase and photo. We also conduct website audits identifying more ways to extend your brand and best position your product, service or organization in the eyes of your key audiences. We also offer content marketing services writing and planning that can be used across various social media platforms and websites. We invite you to browse our key services. Need other services? Contact us to get the ball rolling.